Stitcher’s Garden One is open to all ages, levels of sewing experience and machines. This is a great class for learning a new machine. Every technique you learn can be used in garment construction or home decor as well as quilting. Class is for BEGINNERS as well as the experienced sewer. A great mother/ daughter class to take for bonding. This will be an ongoing class so you can start in ANY month and keep going till complete. 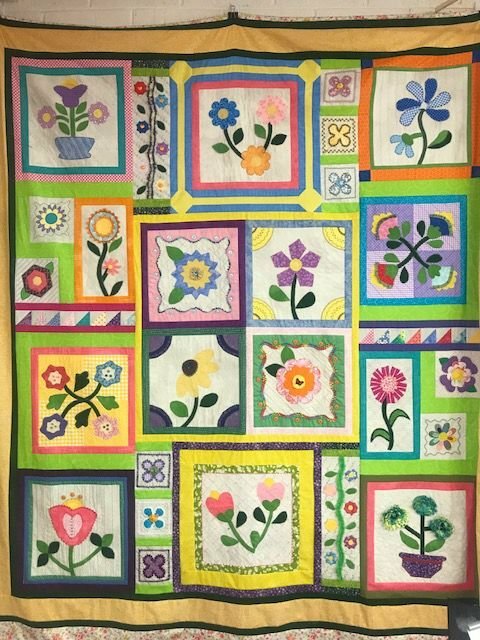 You can miss a month and pick up the block on the next run or at a Denton Sewing Center Sit and Sew (every other Friday evening - check the schedule). Class fee is included your registration fee of $225. If registration fee has been paid, please sign up for the class session here.